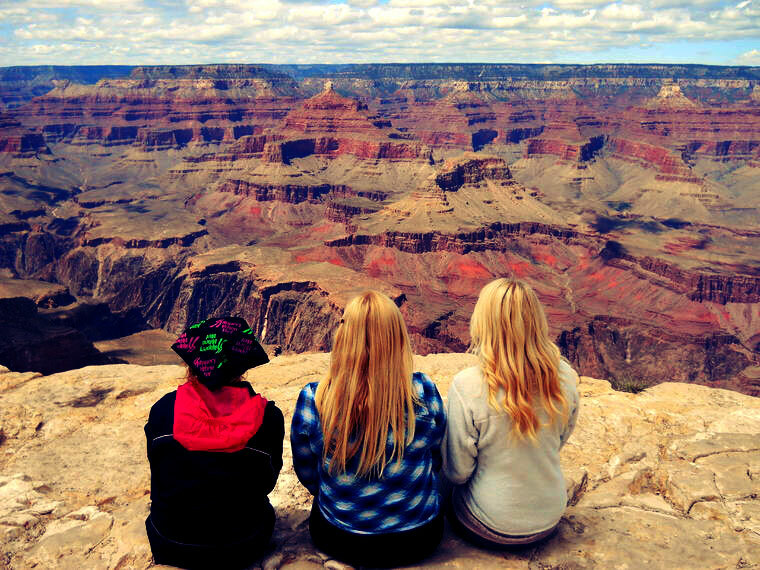 10 Ways to Enjoy the Grand Canyon in the Fall. 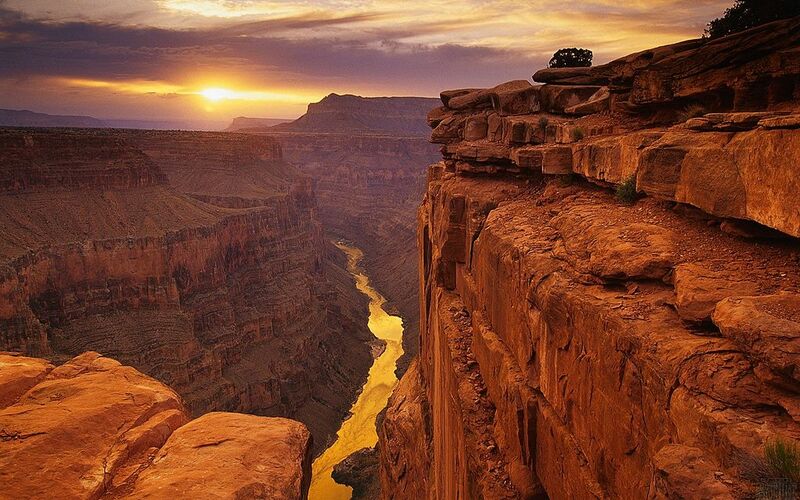 How long has it been since you’ve visited the Grand Canyon? More than five million people go to the breathtaking National Park annually. 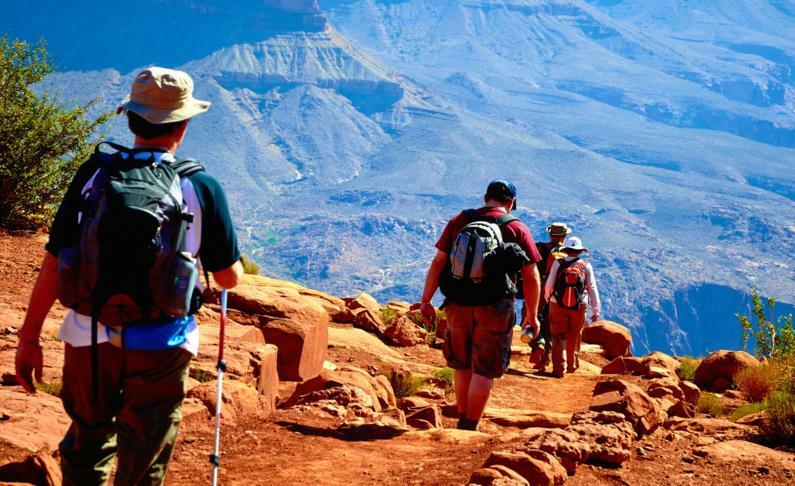 Because 75% of the tourists schedule their arrival during the summer, vacationers who prefer a less crowded experience can have it when they visit Grand Canyon in the Fall. 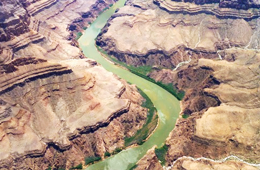 Following are ten other popular reasons to see the Grand Canyon in the fall. 1 The weather’s not as hot. Comfortable temperatures make sightseeing more enjoyable. Take advantage of the opportunity to visit the North Rim before the middle of October, when it closes for the season. 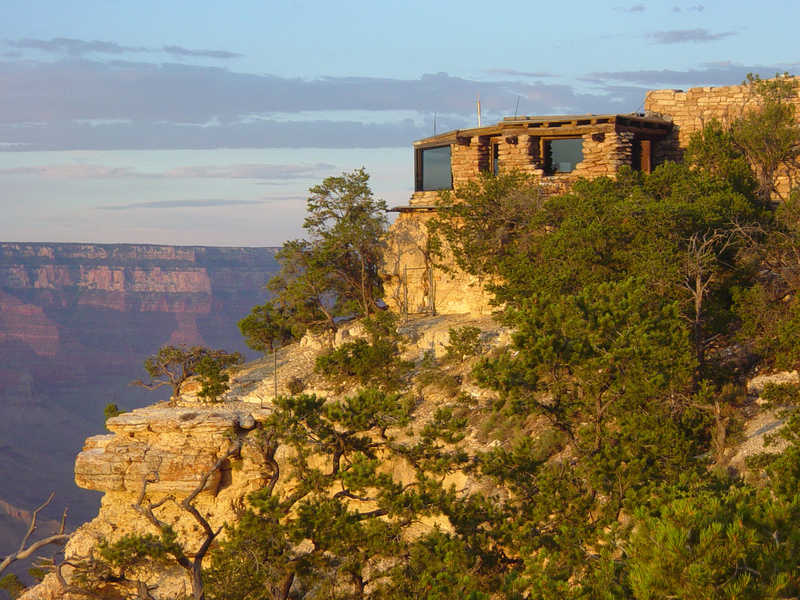 Make the short walk to Bright Angel Point from North Rim Visitor Center and capture several beautiful shots of a Grand Canyon sunset. 2Differences in elevation make a natural thermostat for Mother Nature. Fall temperatures are about ten degrees warmer at the West Rim than they are at the North and South Rims. 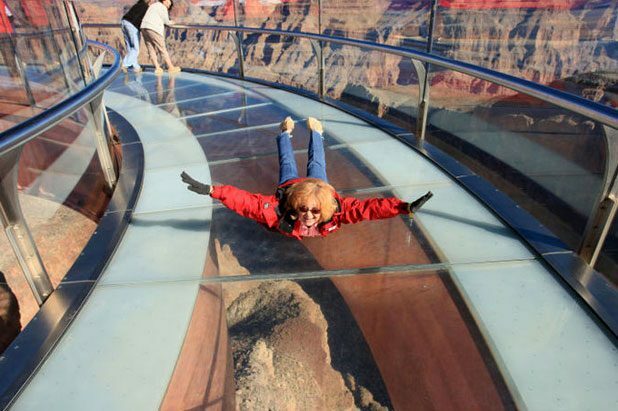 Walk the Skywalk Glass Bridge and look down through the glass floor that extends over the canyon edge, allowing a view of the floor 4,000 feet below. 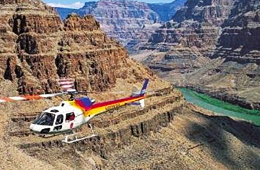 3It’s easier to book a seat on any of the helicopter tours when you visit the Grand Canyon in the fall. 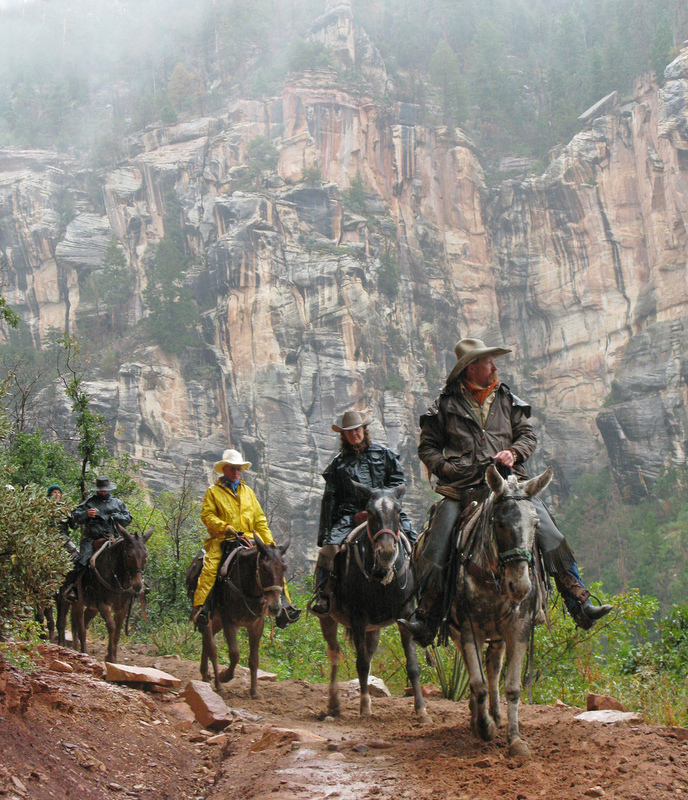 4The South Rim is open to visitors regardless of the season! The free shuttle makes it easy to get around Grand Canyon Village. 5Wildlife is part of the park’s appeal. A variety of fish and amphibians are found at the river and its outlets. 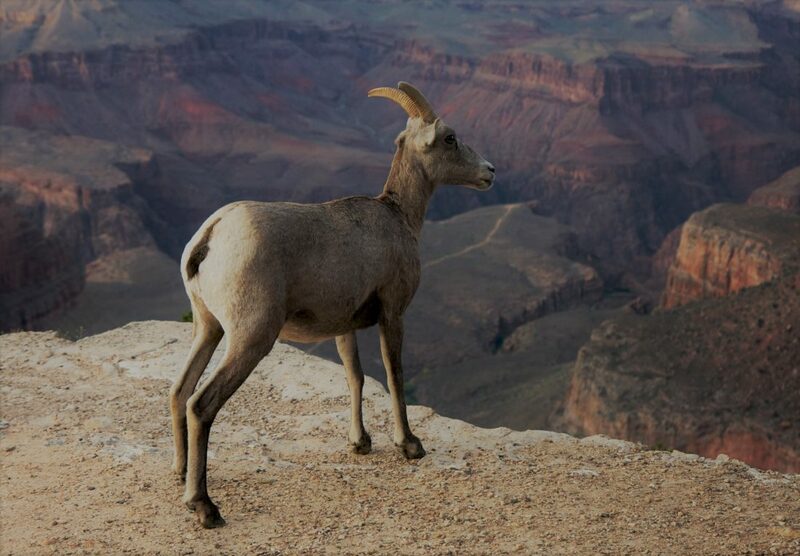 Stay alert for the bevy of mammals, birds, and reptiles inhabiting the Grand Canyon. 6Enjoy seeing the breathtaking views of the National Park through huge windows at Yavapai Geology Museum. Fall hours are 8 a.m. to 7 p.m. Smaller groups in the fall enable visitors to get a closer look at exhibits. The park rangers give classes throughout the day covering area geology and how the canyon was formed. 7Hiking is a common way to get a closer look at the scenery. 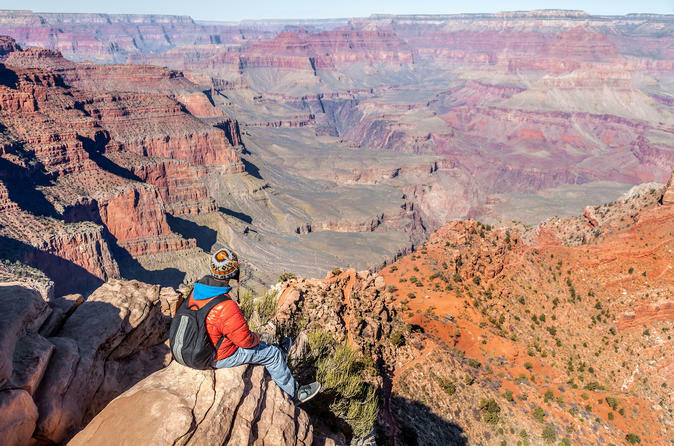 There’s less foot traffic on Bright Angel Trail, the Historic District, and the route to Trailview Overlook during a fall trip to the Grand Canyon. Sign up for the Hike Smart course offered by park rangers. The knowledge keeps guests safer and the journey pleasant. 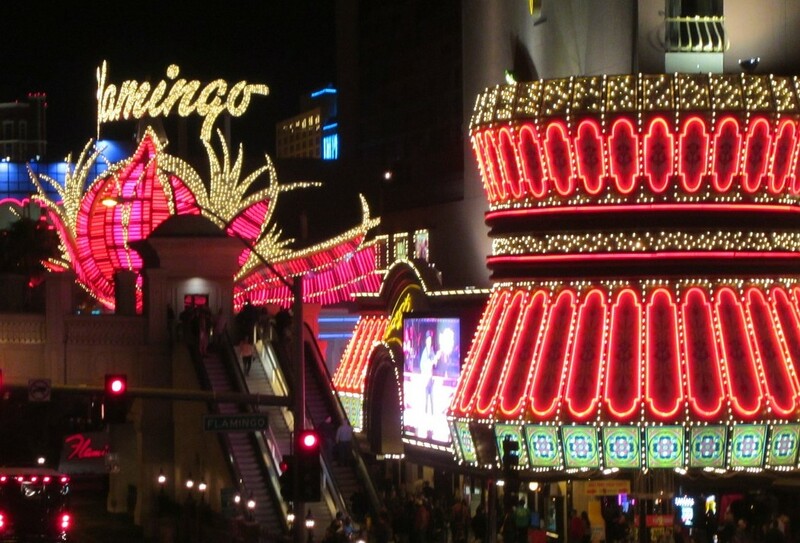 8Take advantage of Las Vegas autumn airfare and hotel bargains. 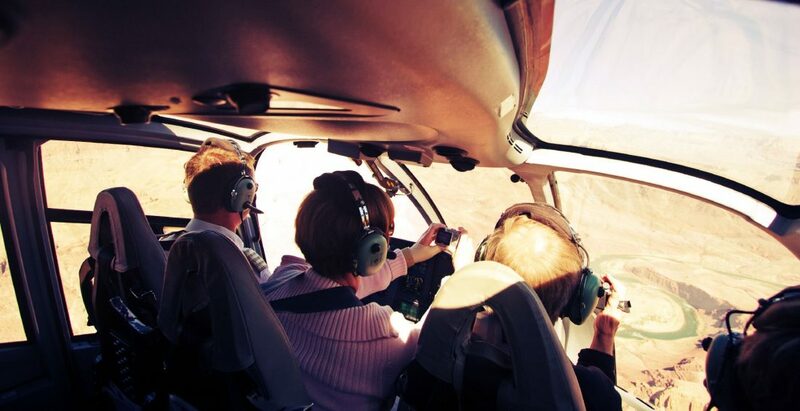 That gives you more money to spend on various bus, helicopter and plane tours that depart Vegas daily for the Grand Canyon. 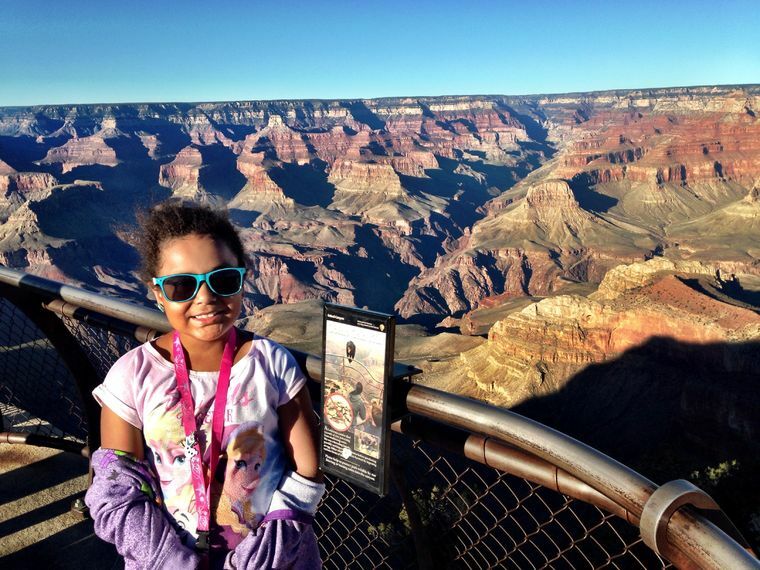 9Junior Ranger programs are offered for youths visiting the Grand Canyon in the fall. This incentive will have your kids anxious to return. They’ll learn community awareness and safe procedures in the park while camping, having a picnic, or walking the trails. 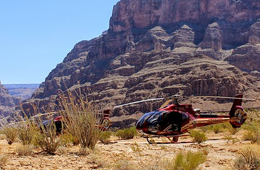 10If you’ve always wanted to ride the mules, float down the river, or descend to the canyon floor in a helicopter, there’s a tour that covers it. Research the various tour companies and only book with a reputable firm to avoid disappointment when you visit the Grand Canyon in the fall.